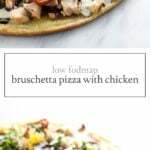 Transform the classic appetizer into a mealtime favorite with this Low FODMAP Bruschetta Pizza with Chicken. Gluten free and full of flavor, this will quickly become a family-favorite recipe! On one of my first dates with my now husband, I tried Caprese bruschetta and couldn’t get over the tasty combination of tomatoes, basil, mozzarella and balsamic. 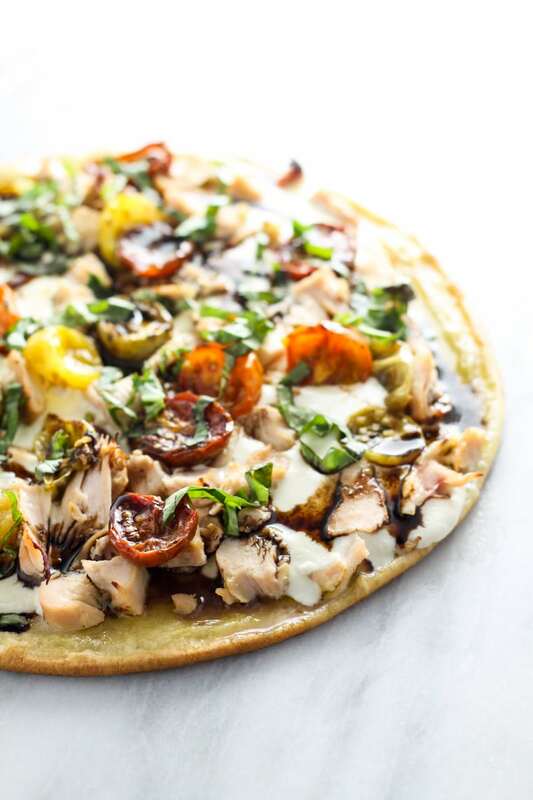 Lately, I have been combining these classic flavors with chicken in this flavorful and filling Low FODMAP Bruschetta Pizza with Chicken! 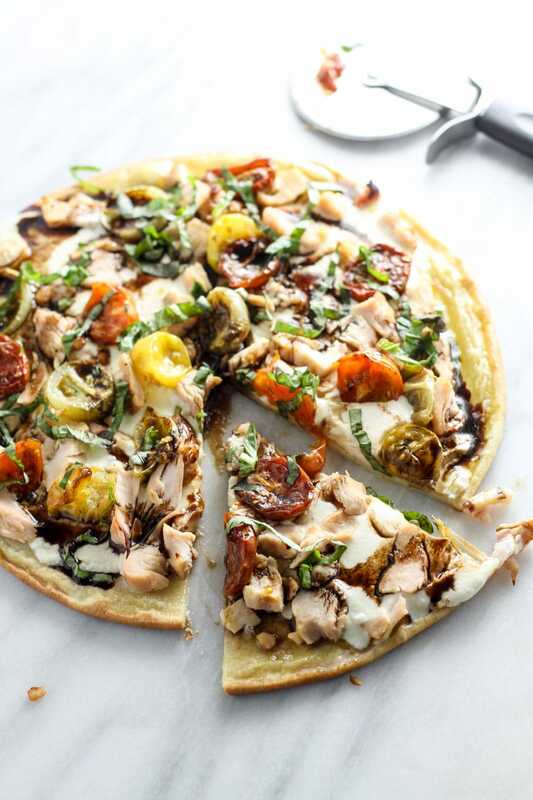 Transform the classic appetizer into a mealtime favorite with this Low FODMAP Bruschetta Pizza with Chicken. Gluten-free and full of flavor, this will quickly become a family-favorite recipe! Place pizza crust on an oven-safe pan. Top with olive oil and spread evenly over crust with the back of a spoon. Cover with mozzarella slices. Then, top with cooked chicken and tomatoes. Bake for 12 minutes or until crust is golden brown and cheese is melted. Drizzle with balsamic vinegar and top with fresh basil. Serve warm. Dairy Free: I substitute Daiya Mozzarella-style Shreds. 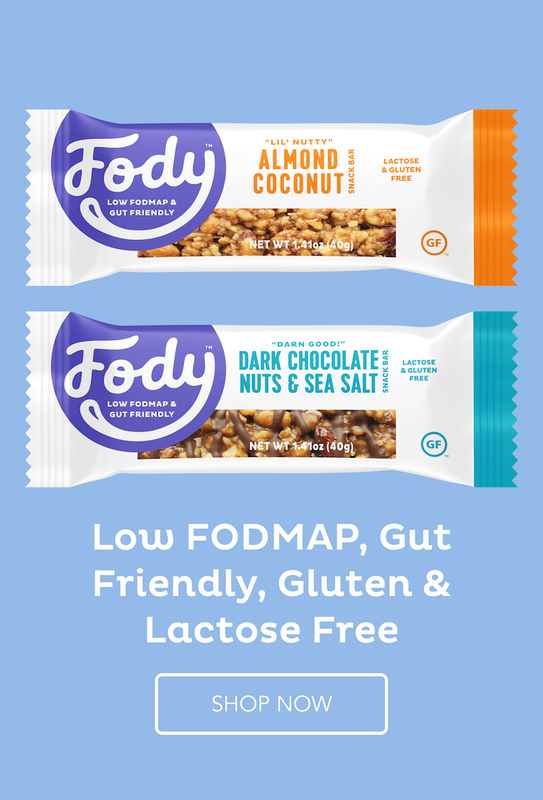 To my knowledge, this product has not been tested for FODMAP content and may not be tolerated by everyone. Tried this tonight and really enjoyed it. Yummy flavours. I never think of excluding traditional pizza sauce but it was nice to have a change. The only thing I might try differently next time is using balsamic glaze instead of balsamic vinegar. The vinegar is yummy but would leave the pizza a bit soggy if I wanted to take it for lunch the next day. Balsamic glaze has a stronger flavour because it’s more concentrated which I like. Other than that, I loved how easy and yummy this was. Thanks for the great recipe. It’s nice to have alternative pizza recipes.